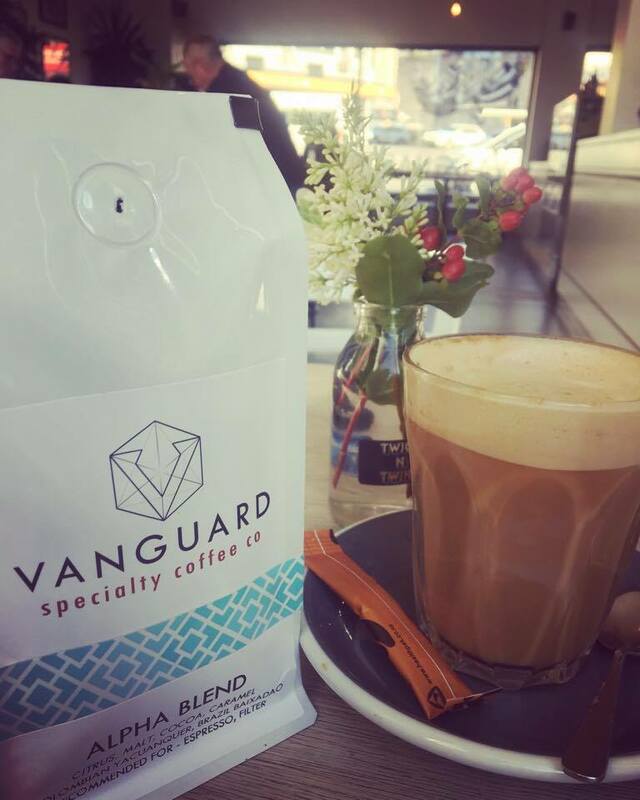 Vanguard Specialty Coffee Co is situated on Princes St just up from the exchange. Paid parking is available outside the café as well as in the nearby streets. 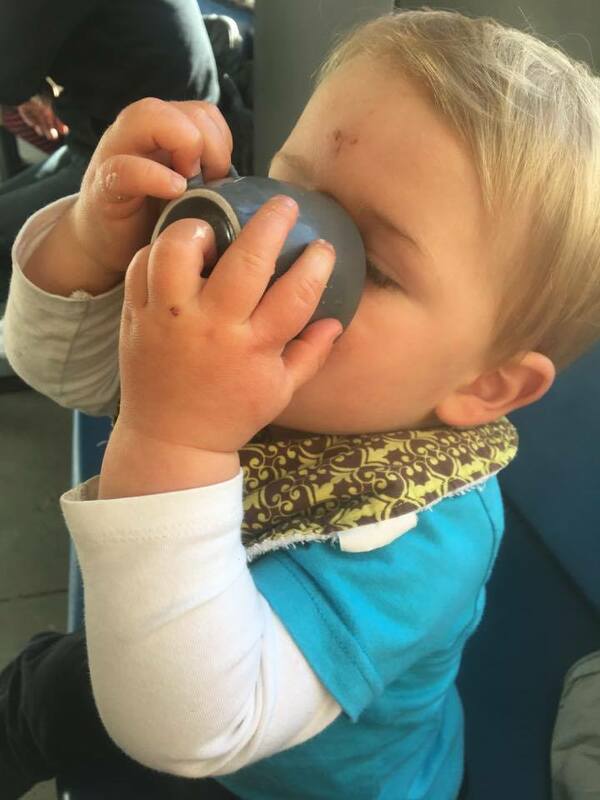 It’s accessible with a pushchair and has plenty of space. There is adequate seating situated around the café with the counter centrally placed. 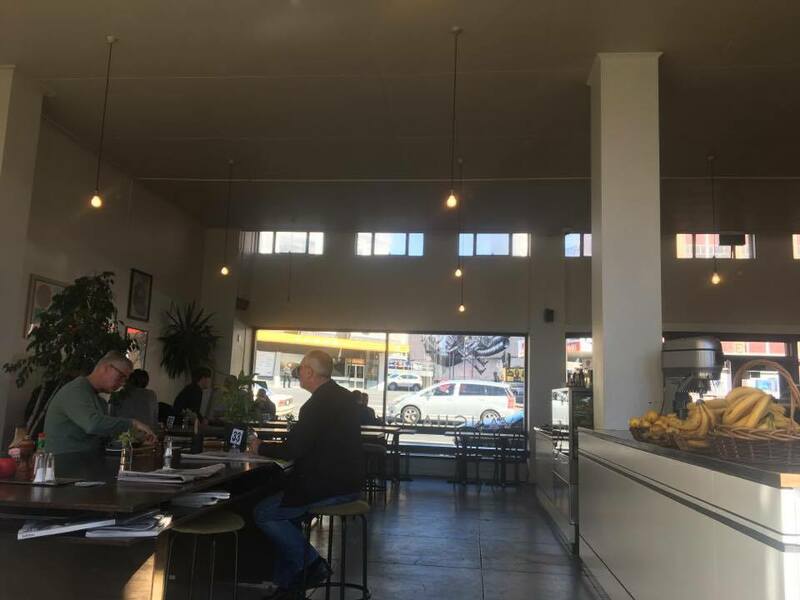 Vanguard is very popular among local workers popping in to grab their caffeine fix or just making any excuse to have a "meeting" in the relaxed and spacious cafe. 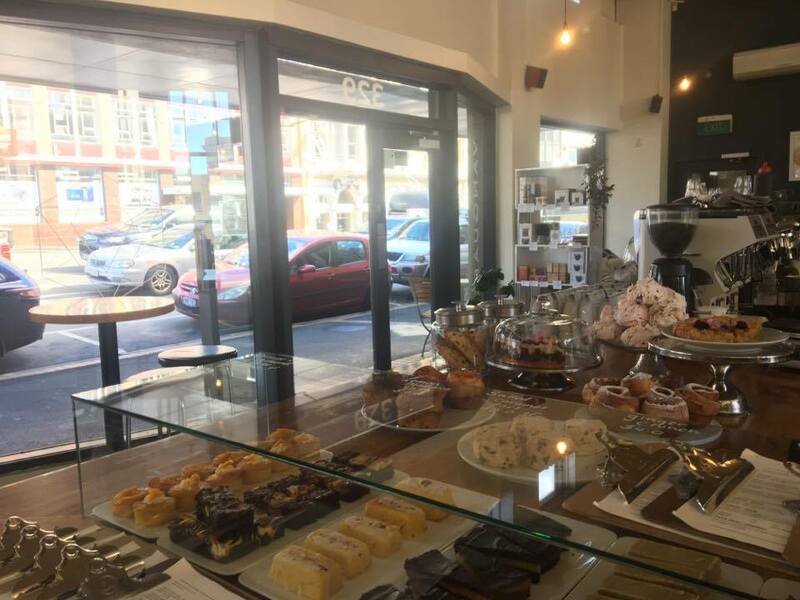 However, don't let this put you off visiting as this café also caters for children, with a couple of free standing highchairs and a toy basket in one of the corners, ideal to keep the kids entertained. 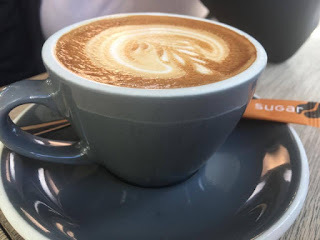 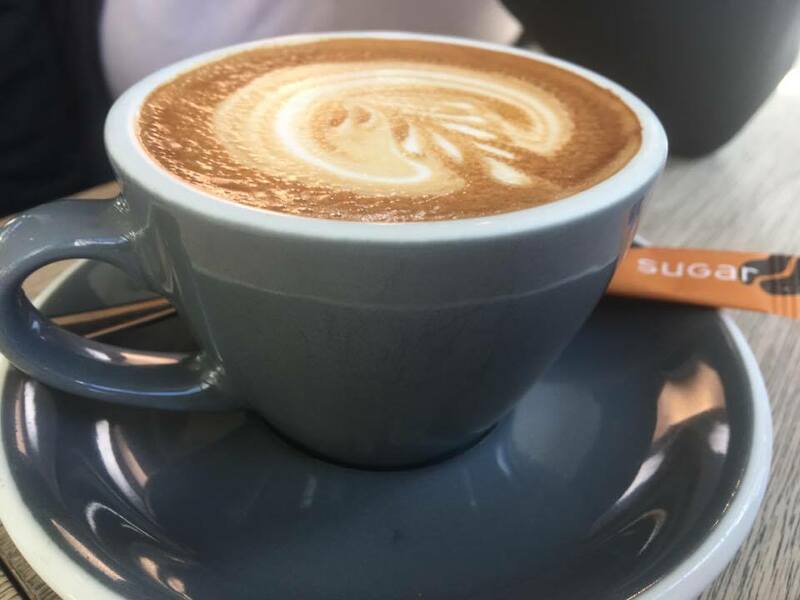 Vanguard is a Dunedin based specialty coffee company that prides itself on sourcing their coffee from small scale farmers in Columbia or obtaining their coffee from fair trade importers. 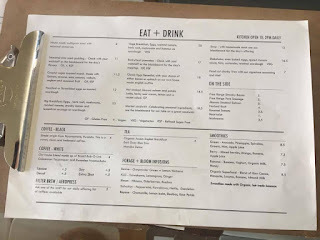 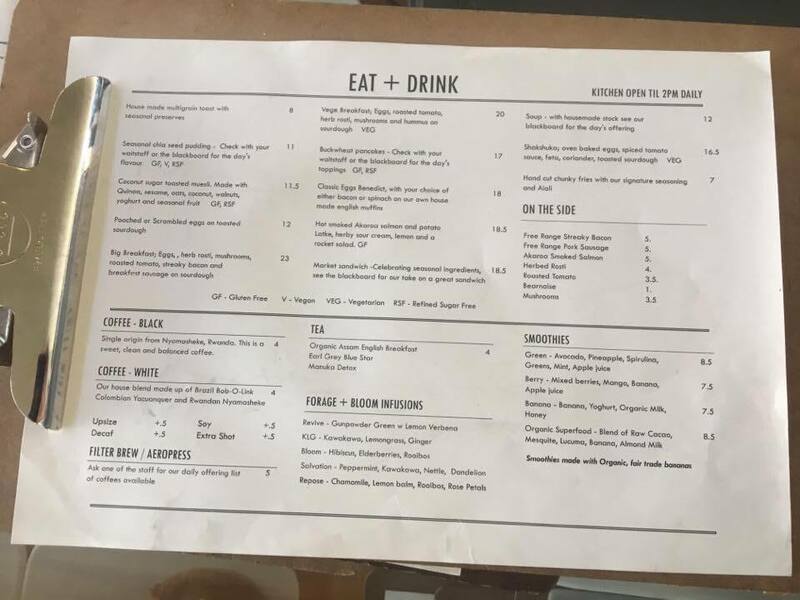 Their delicious cabinet and menu food is made with locally sourced produce, organic milk and free range products. Master Benji downing his Fluffy.